A Bathroom Renovation is one of the best ways to add value and style to your Wayzata, MN home. It is one of the most used rooms in the entire home and in such should be updated periodically. 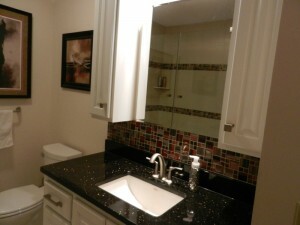 The most functional and aesthetically pleasing bathroom remodels are completed by an experienced Licensed Contractor. Bannochie Builders, Inc. is a bathroom remodel contractor with an outstanding reputation for value adding renovations. Our expert remodeling crew can help you with every step of the process to ensure that the outcome is something that you will be very proud to show off. If you are a homeowner in Champlin, MN looking for a bathroom remodeling contractor Bannochie Builders has some tips for you. As a business that has been around for years, our extensive experience and knowledge in the home remodeling industry has paid off for many Minnesota homeowners and now hopefully for you. Regardless of what you call it, bathroom remodel, powder room upgrade, washroom renovation the fact of the matter is improving your Shoreveiw, MN home’s facilities will pay off! Don’t choose to live with your outdated, permanently stained and anything but a restful restroom. Creating a peaceful place you can enjoy daily is an extremely tangible option with the help of Bannochie Builders, Inc. on your side. 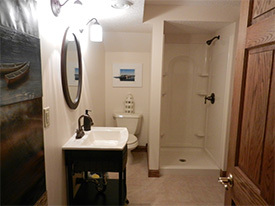 Are you in the Minnetonka, MN area and in desperate need of a bathroom remodel? You have come to the right place! Bannochie Builders can successfully complete your bathroom makeover, whether it is an entire renovation or just a minor face lift we have all the tools and experience to create your desired bathroom scene. A home bathroom is used multiple times and daily, don’t feel drained every time you enter, instead rejuvenate your spirit by turning your existing bathroom into a mini retreat.